We are well into a busy 2018 holiday season. While this can be an exciting time with record sales or donations, it is important to remember that 2019 is right around the corner. Now is the time to start planning for an even more successful year ahead! 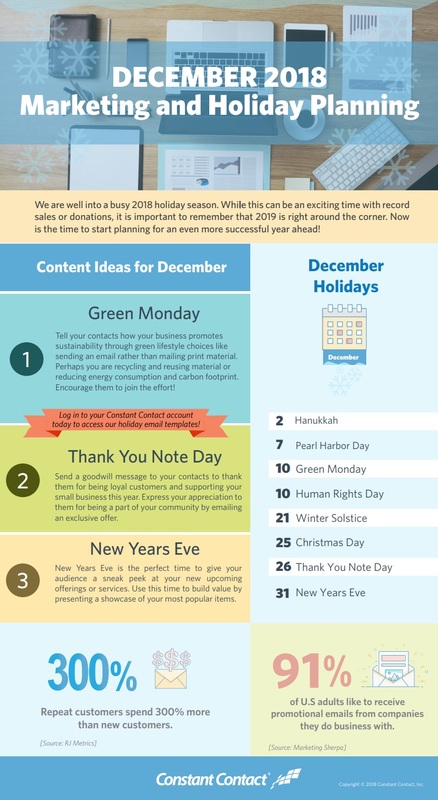 If you’re looking for email ideas for December, the December 2018 Holiday Planning Infographic will help you launch your email marketing efforts into the holiday season!